Louise loves sharing the physical and mental benefits of a yoga practice with everyone! Louise started practising Iyengar yoga in 2009 when in the middle of a very busy final year at University. She had found something she Ioved and very quickly recognised the physical and mental benefits of a regular yoga practice. She qualified with an Introductory Level 2 certificate in October 2016 after completing her teacher training course with Aisling Guirke in Dublin. She continues to attend regular classes in Belfast with Claire Ferry, and workshops with other teachers in Dublin and further afield. You can find Louise teaching a general level class on Thursdays 7.30-9pm. Louise offers the next introduction to Iyengar yoga 5-week course on Saturday mornings from 27th April, all for just £35! She also covers for Claire and other Iyengar teachers at the studio. 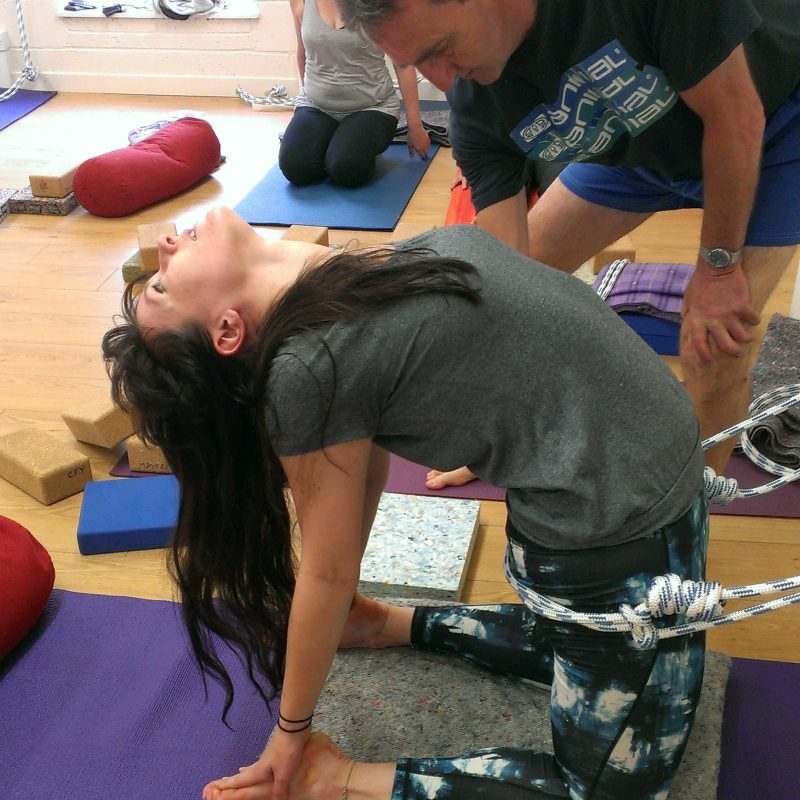 Iyengar single and 10-class passes are available for all of Louise's classes, available here. You can read more about all Iyengar classes and finding the best level for you on Claire's page and in this feature article.